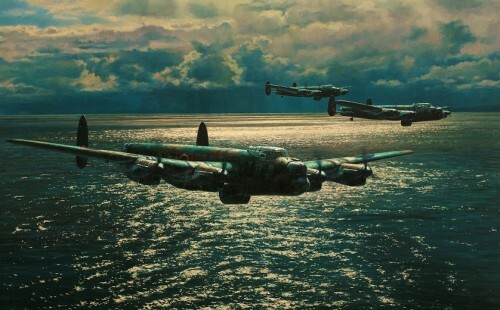 Robert Taylor’s spellbinding painting, Wings of Glory, paying tribute to Mitchell’s immortal fighter, features the MkX1X Spitfire of the RAF’s Battle of Britain Memorial Flight. 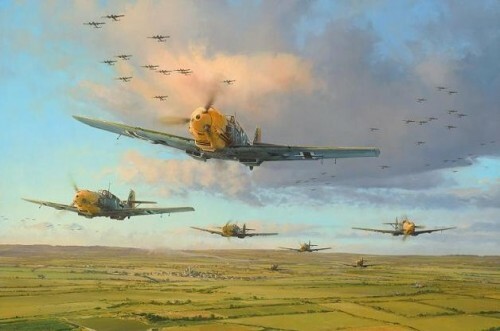 Robert Taylor’s spellbinding painting, Wings of Glory, paying tribute to Mitchell’s immortal fighter, features the MkX1X Spitfire of the RAF’s Battle of Britain Memorial Flight. 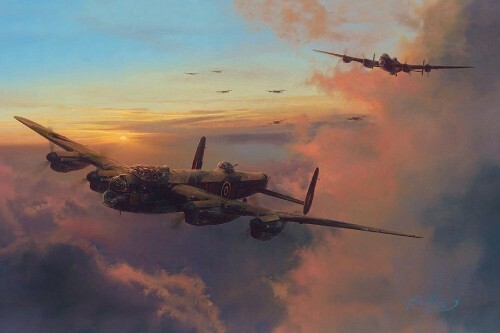 Powered by the Rolls-Royce Griffin engine providing maximum speed of 450mph and a 44,000 feet operating ceiling, this lovingly restored aircraft thrills generations of aviation enthusiasts with her spectacular aerobatics at Europe’s summer air shows. 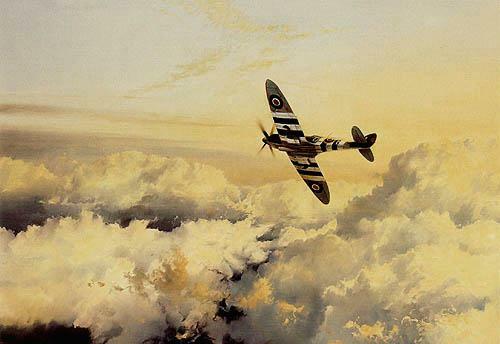 Captured here in a magnificent study by the world’s foremost aviation artist, this most beautiful of fighters gives a virtuoso performance; high among the clouds, alone in her magical element, she dances an aerial ballet like no other could. 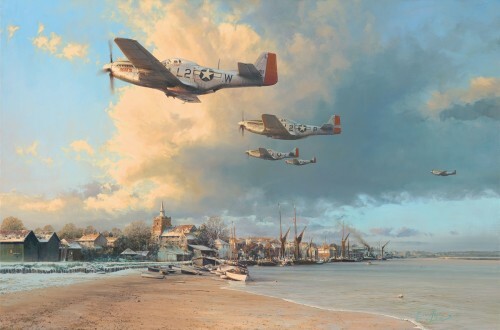 Issued with FREE Companion print, featuring MKVb Spitfire of 92 Squadron and FREE copy of Robert Taylor’s new book of Air Combat Paintings Masterworks Collection, signed by the artist.